Boise Radiology and St. Luke’s are the leaders in breast care throughout the Treasure Valley, southwestern Idaho and Wood River areas. 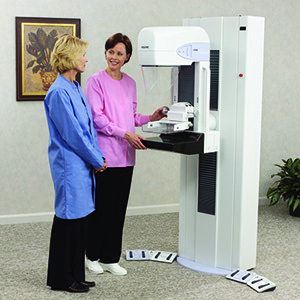 We offer some of the latest and most advanced breast imaging diagnostic systems available. Our modalities include full-field digital mammography, diagnostic ultrasound, galactography and breast MRI. Our full-time mammographers are fellowship trained in breast imaging, and all of our breast imagers are board-certified in radiology and ACR accredited. Diagnostic procedures include percutaneous breast biopsies and localizations utilizing mammographic, ultrasound, or MRI guidance. We use clinically proven diagnostic techniques, which include the utilization of automated vacuum-assisted core biopsy devices to provide improved biopsy sampling of lesions, decreased patient procedure times, and better patient satisfaction. Procedures utilizing digital mammography decrease the time for the procedure, including galactography and mammographic wire localizations. Decreased times during mammographic compression decreases discomfort and improves patient satisfaction. We work closely with our local clinicians and surgeons to provide thorough assessment of patients with suspicious findings detected on screening studies, including breast MRI for patients with recently diagnosed cancer, or those who may need screening evaluation due to a high risk of developing a breast cancer. Breast MRI imaging also includes imaging of implants for leaks or rupture. Distribution of diagnostic reports and referral images are available via secure internet transfer.